PHILADELPHIA, Jan. 18, 2017 /Christian Newswire/ -- Terri Schiavo's 2005 death by starvation and dehydration marked the start of America's slide toward treating euthanasia generally, and assisted suicide specifically, as if they were forms of medicine. Knowing the true story of Terri's fight is important for understanding the roots of America's culture of death. Since Terri Schiavo's death, her parents and siblings—Mary and Robert Schindler, and siblings Bobby and Suzanne—have envisioned a supportive, permanent home for the public records that tell the story of Terri's battle. Thanks to Ave Maria University's Canizaro Library, the Schindlers have found that home. "We knew that my Terri's death wouldn't be the last time someone was fatally denied food and water," reflects Mary Schindler, Terri's mother. "She had a brain injury. She wasn't terminal, she wasn't dying. She was conscious. We knew when she was killed that she was just the first victim of many yet to come." It was this conviction that led the Schindlers to preserve dozens of boxes worth of materials that tell the story of Terri and her family's struggle to protect her, with the belief that future researchers inquiring into the history of American euthanasia would need to understand Terri's story in an unbiased and straightforward way. 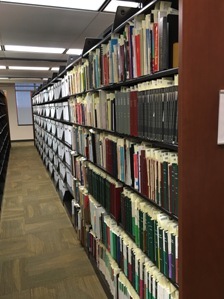 The Terri Schiavo Archive will be available for privileged access to students, researchers, and visitors interested in learning more about Terri's fight, available by inquiring with Ave Maria University's Canizaro Library directly. The Terri Schiavo Archives represent the first ever comprehensive collection of the records pertaining to Terri's prolonged legal clash , and the first time these materials are available to the public. "We were thrilled to donate these materials to Ave Maria University," reflects Tom Shakely, executive director of the Terri Schiavo Life & Hope Network. "We know Terri's case remains profoundly important not only in itself, but also in relation to the larger battles for the dignity of the human person." "We're so pleased to add the Terri Schiavo Archive to our growing collection," shares Jennifer Nodes, Ave Maria's Director of Library Services. "It is a wonderful opportunity to preserve unique primary source materials for research, teaching, and scholarship and will no doubt shape lives and perspectives far into the future." Ave Maria is located in Southwest Florida, roughly 45 minutes from Naples on the west coast, and approximately 90 minutes east from Miami/Fort Lauderdale. Ave Maria University was founded by Tom Monaghan, founder of Domino's Pizza, as an orthodox Catholic university. The Terri Schiavo Archive can be accessed online here. The Terri Schiavo Life & Hope Network upholds human dignity through service to the medically vulnerable. This mission is expressed by affirming essential qualities of human dignity, which include the right to food and water, the presumption of the will to live, due process rights for those facing denial of care, protection from euthanasia as a form of medicine, and access to rehabilitative care. The Terri Schiavo Life & Hope Network has supported more than 2,000 families and has directly advocated hundreds of cases since its founding. Visit lifeandhope.com.